"And now for Return to Flight, I'm chief of robotics working in the astronaut office in Houston, as a Canadian"
This quote is written / told by Chris Hadfield somewhere between August 29, 1959 and today. 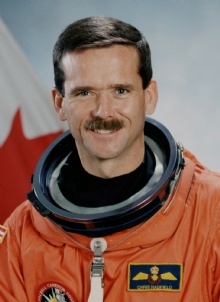 He was a famous Astronaut from Canada. The author also have 5 other quotes.